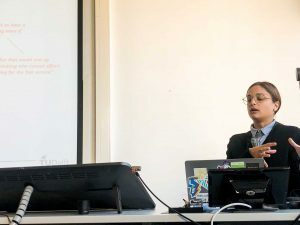 On October the 3rd, Maria Luce Lupetti was invited to give a talk about her research project which was conducted together with Nazli Cila, and Iskander Smit at The 10th NordiCHI in Oslo, Norway. At the website of info.nl LABS a short report was published on the workshops we did with PACT at The Next Web and Border Sessions. 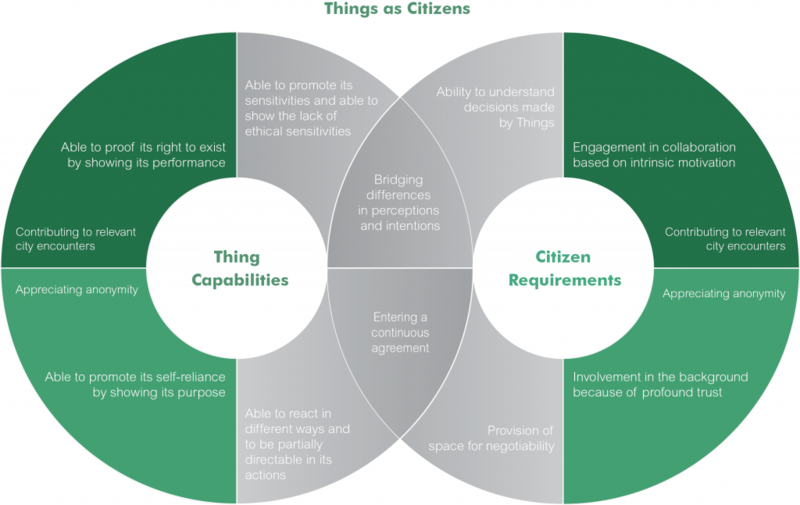 “Things as Citizens”, by Louise Hugen is the first graduation thesis developed as part of PACT project. 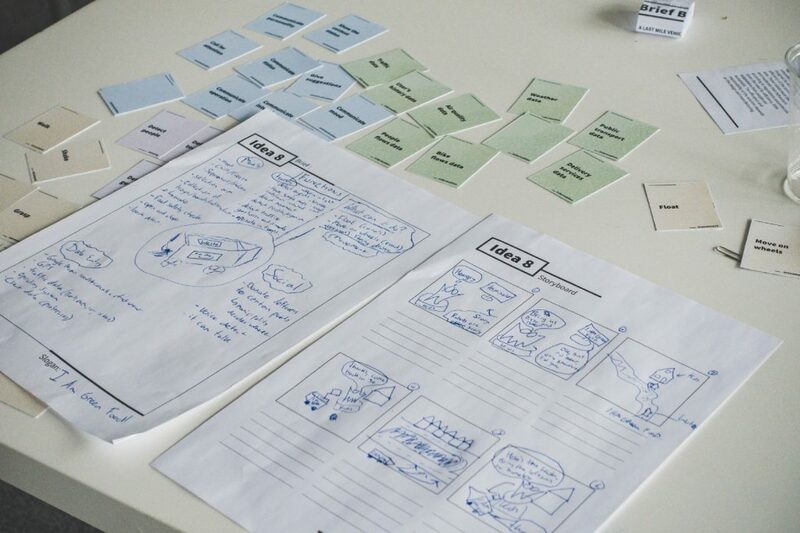 The project explored the possibilities of Things to be as citizens by means of a literature study, several creative sessions and a user test with a prototype of a Thing as citizen. 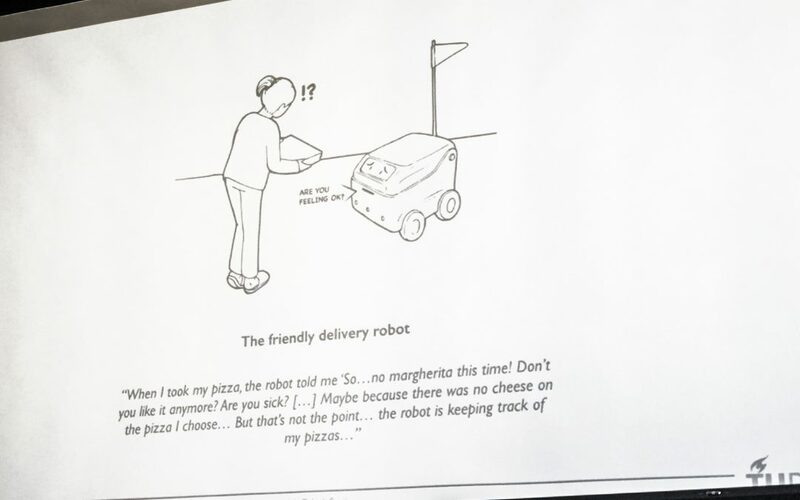 The following article, authored by Louise Hugen, illustrates some highlights of the master thesis. The aim of the thesis is to identify design qualities for intelligent things to perform appropriately during shared practices with citizens according to the urban culture in the city. The urban culture refers to the way that people behave in the city environment regarding the concept of citizenship and public behaviour. In this context, things are connected artefacts that are able to connect to humans and non-humans via internet with data technologies. Therefore, things have a special proactive influence on humans as compared to other artefacts. It means that things become part of the city as active members. Therefore the project focuses on things as citizens by exploring the requirements for the coexistence of things and human citizens. 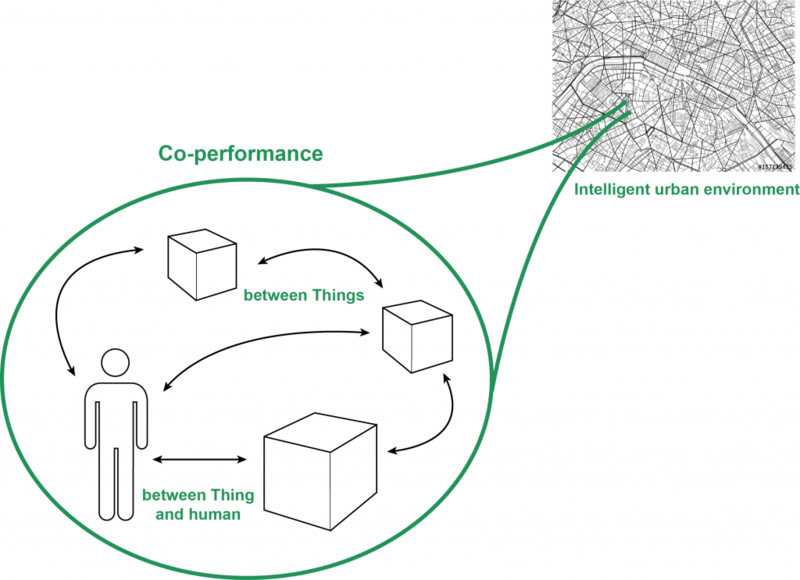 The focus is on the notion of co-performance in the smart city: a concept that regards the practices of humans and things with agency to be equally important during shared practices. How should Things in the city co-perform with a human in a one-on-one interaction? How should a small system (~ 3 objects) of Things operate together in a city environment? What requires a Thing to act as a citizen according to the urban culture? What are the qualities for Things in the city based upon the results of the previous sub research questions? 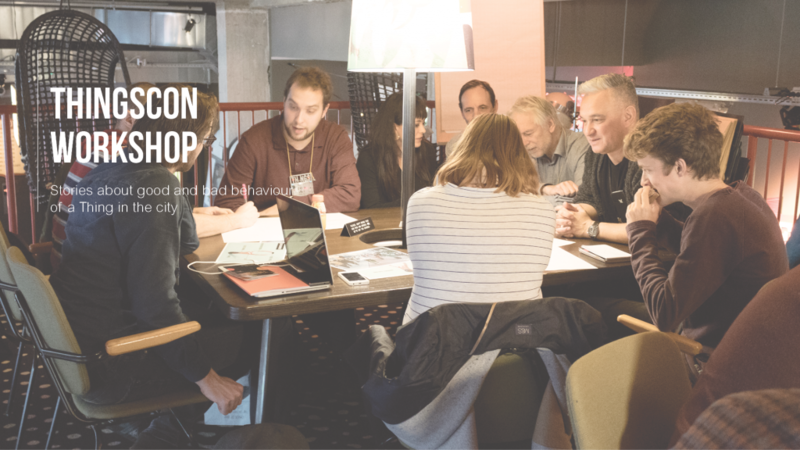 A literature review on things and the notion of co-performance as well as practice based research with Dutch citizens are conducted: a creative session, contextmapping session and workshop at the yearly event Thingscon, an Internet of Things related conference. The studies showed that a democratic dialogue between citizens and things is needed in order to establish co-performance between both. It means that the behaviour of things should be adapted to the democratic values of society. The design qualities that fit the vision of a democratic dialogue are identified by combining both the literature review and the outcomes of the practice based research into a synthesis. All design qualities are based on values for democratic citizenship: the right of truth, equality, privacy, participation and granted authority. The result is the design qualities model as can be seen in the following figure. 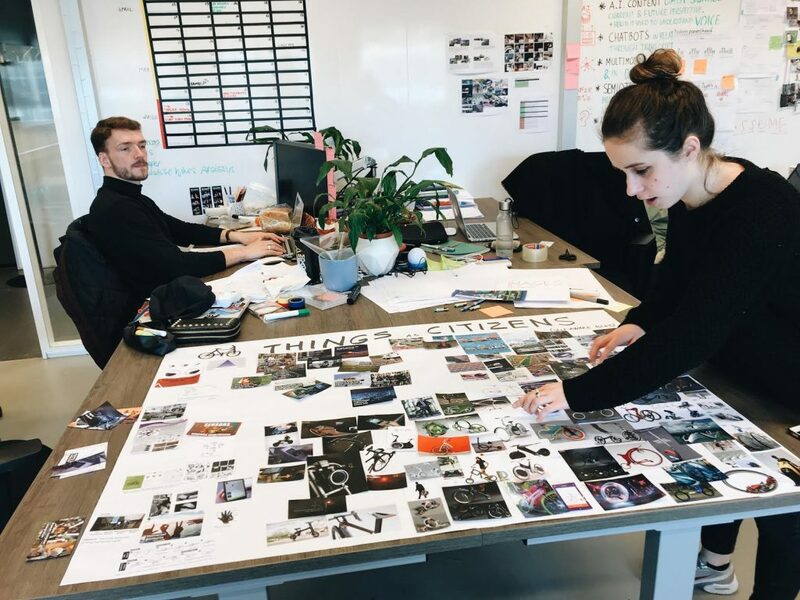 In order to evaluate and validate the design qualities, a concept of things in the city is developed that serves as a demonstrator for the theme Things as Citizens. 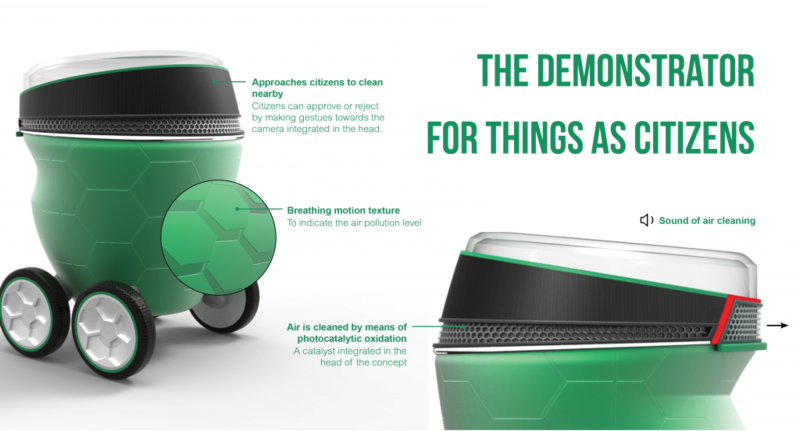 The concept is designed in the context for air pollution and is a provider and distributor of clean air. The implemented design cues of the concept represent the design qualities model. 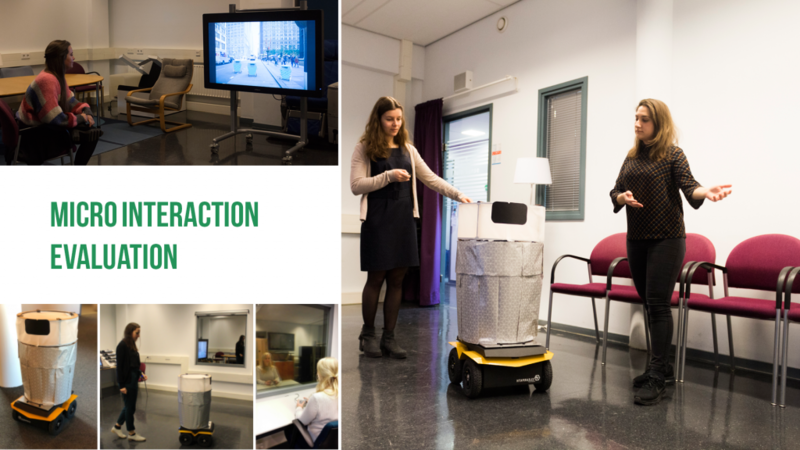 The visibility of these design qualities in the concept is validated by a qualitative study demonstrating to Dutch citizens the interaction with a physical prototype of the concept. 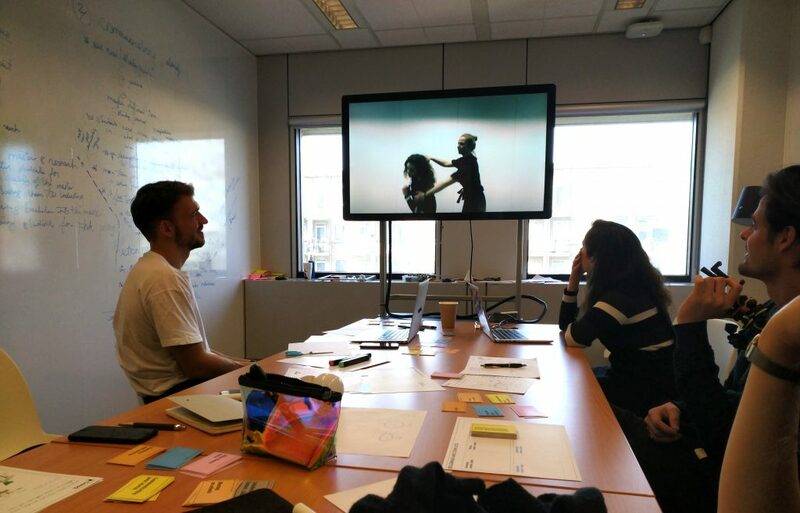 On April 6th 2018, PACT conducted an ideation workshop on autonomous bike for future smart cities, as part of a master project in collaboration with the Amsterdam University of Applied Sciences. More details about the workshop results can be found here. 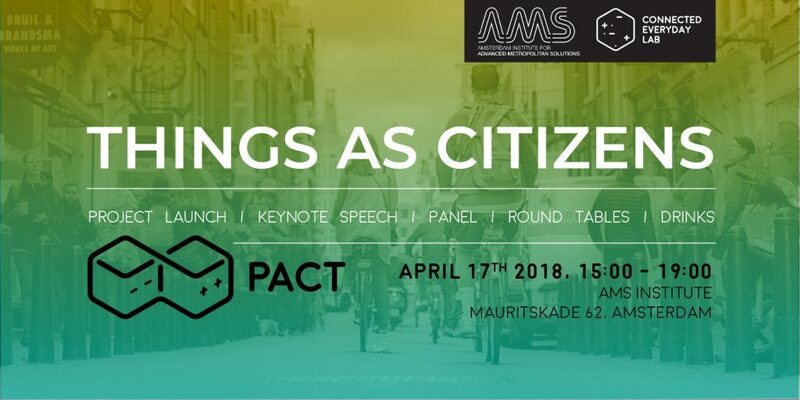 PACT research program, together with AMS (Amsterdam Institute for Advanced Metropolitan Solutions), is launching the project “Things as Citizens” with a kick-off event on April 17th. The project is dedicated to the investigation of the opportunities and challenges of emerging interactions between people and autonomous things, in the context of smart cities. The aim is to explore how things might connect with existing networks of data, collect real time data, act proactively and behave socially. The event aims to bring together experts in the fields of data science, robotics, ethics of technology and social sciences to discuss what are the main challenges and opportunities currently offered by the smart city infrastructures, and how these should inform the design of near future things as citizens. Virginia Dignum (TU Delft TPM). The event will take place at AMS institute, in Amsterdam, from 15:00 to 19:00 pm.